London’s leading share index remained almost flat in early trade Tuesday, following weak US and Chinese manufacturing data and ahead of the looming Scottish referendum. 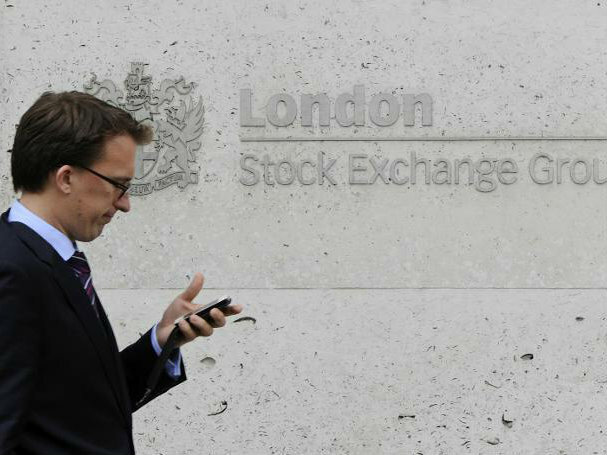 The benchmark FTSE 100 index eased 0.06 percent to 6,780.51 points as investors also await a key Federal Reserve policy meeting in Washington on Tuesday and Wednesday. US factory output unexpectedly contracted in August after six months of gains, while China’s industrial production growth slowed sharply to 6.9 percent in August, its lowest level for more than five years. The prospect of Scotland voting to split from the United Kingdom in Thursday’s poll continues to weigh on investors, with the pound nearing a 10-month low against the dollar on Monday. Markus Huber, senior analyst at broker Peregrine & Black, said the referendum was “sowing uncertainty” and “keeping investors out of stocks”. Other European markets also nudged lower Tuesday. Frankfurt’s DAX 30 dropped 0.16 percent to 9,644.28 points and the CAC 40 in Paris slipped 0.06 percent to 4,426.15. Tokyo’s Nikkei 225 index, which hit a fresh eight-month high on Friday, ended down 36.76 points at 15,911.53. US stocks finished mixed Monday. The tech-rich Nasdaq dropped 1.07 percent while the Dow rose 0.26 percent and the S&P 500 dipped 0.07 percent. The Fed — which has said it would keep interest rates low for a “considerable time” after ending its massive stimulus — is widely expected to further scale down its monetary easing programme, setting the stage for a full termination at the end of October.